Oh my goodness. I can't contain my excitement! 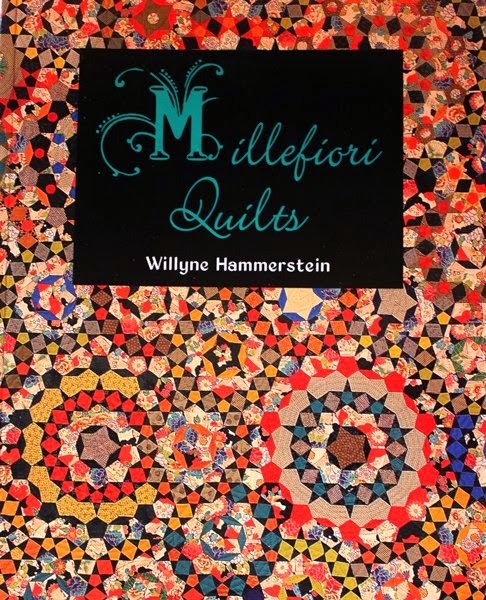 My amazing husband got me a wonderful Christmas gift: Millefiori Quilts by Willyne Hammerstein. 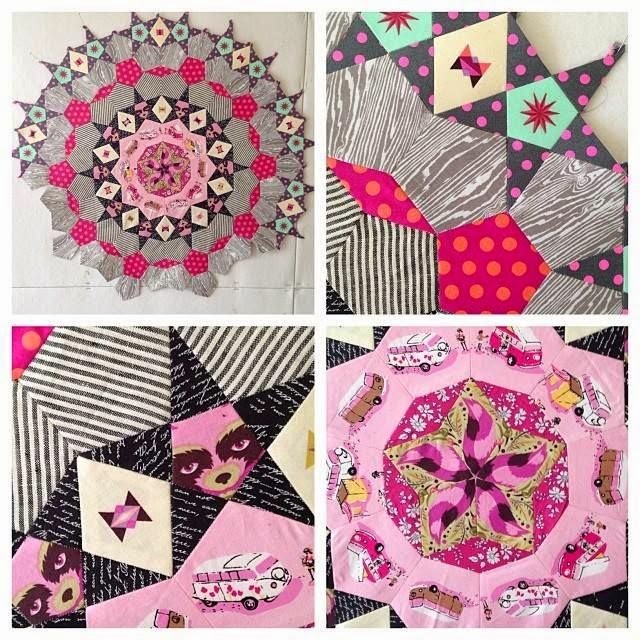 I have been aching to give one of the La Passacaglia quilts a try, and now I can! He was also a total gifting champ, and bought me not one, not two, but four (!) bundles of fabric collections I have had my eye on. This gives me much fodder for this epic quilt! 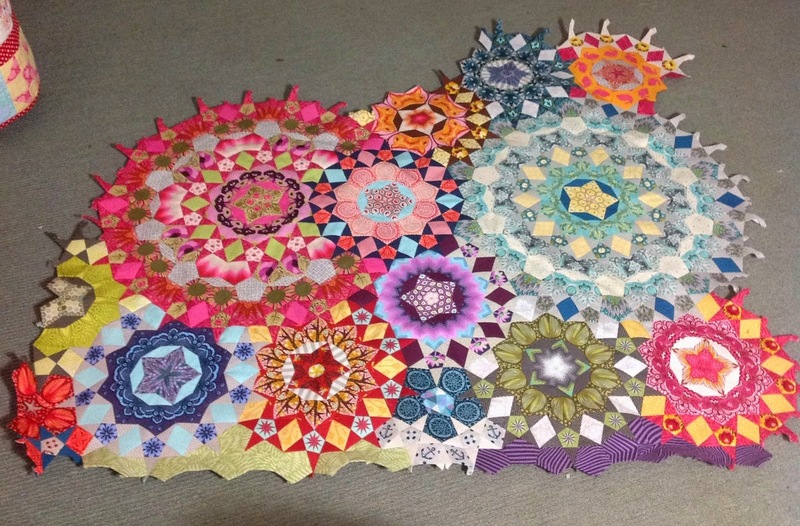 La Passacaglia quilts look like a beautiful, colourful kaleidoscope, with so much potential for fuzzy cutting. 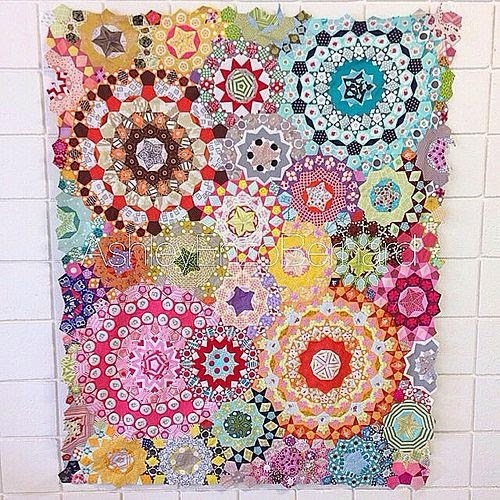 They are made using the English Paper Piecing technique, which means they are completely hand sewn. And the total piece count is over 2900! Last night I started cutting up the paper templates. I spent a good three hours at it, and have barely made a dent. A work in progress - amazing every step of the way! I plan to have this quilt be a work-in-progress over the next year (or more if necessary!). 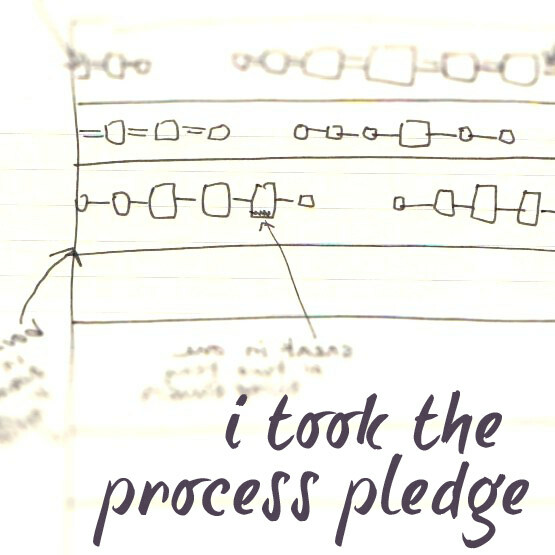 This on-going project has me very excited, so stay tuned for progress updates!